Kony 12: An optimist, a cynic and a theologian ..
Each month I publish a film review, for Touchstone (the New Zealand Methodist magazine). Here is my most recent. An optimist, a cynic and a theologian sat down to share a latte and change the world. The optimist wanted to do something…anything. He left the cafe and flew to Africa. His heart broke, bled in a thousand pieces in a country he didn’t understand, among a culture that was never his. Being a Westerner, he came armed with a video camera. He used it to shoot footage of crying children, dense bush, and men with guns. He began to recruit, drawing together a staff skilled in film-making and media industries. Carefully they edited the video, manipulated the sound bites, added graphics and sourced the emotional background music. And so was born Kony 12. The cynic snorted when he saw it. A lifetime exposed to world hunger and media manipulation had left a well-practised sneer. He googled ‘Kony 12’ and pressed ‘like’ on all the criticisms. What is the budget? Who funded this? Where is the conspiracy? What if it fails? Is the US there simply because of oil? Will this simply inoculate people against the next tragedy? While he complained, ‘Kony 12’ became a media sensation, watched on the Internet by nearly 90 million views. The theologian’s teenage child suggested she watch the video on YouTube. Pressing play, she smiled at the gospel echoes in the sound bites – ‘the value of all human life’, ‘a bunch of littles could make a huge difference’, ‘the unseen became visible’. Time went by and later, the optimist, the cynic and the theologian bumped into each other once again on a crowded city. Proudly, the optimist noted how Kony was now a household name. ‘We’re making the world a better place,’ he said. The cynic was unconvinced. ‘Surely there must be more to life than making Facebook a better world.’ He mentioned the ‘S’ word – ‘slacktivism’ – the idea that sharing, liking or re-tweeting across the social web will solve a problem. Which means, suggested the theologian, that Kony serves a purpose. It is a way to pay attention to the needs of our neighbour. Yet Kony must advance. Eyes that watch a video, and hands that ‘like’ a link, need feet that carry them to meet their needy neighbours face to face. Wouldn’t that be a video worth making! *Publicly available financial accounts of Invisible Children suggest nearly 25 percent of its $8.8m income last year was spent on travel and film-making and about 30 percent went toward programmes in Africa. 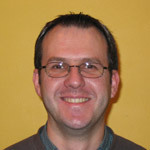 Rev Dr Steve Taylor is Director of Missiology, Uniting College, Adelaide. 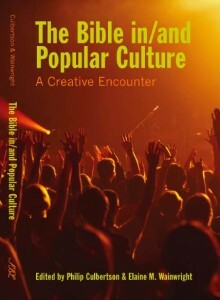 He writes widely in areas of theology and popular culture, including regularly at www.emergentkiwi.org.nz. Day one of the Living the text intensive kicked off today. A really engaged group and it looks like being a rich week. One of the things I want to encourage during the intensive is a variety of learning experiences, a whole range of different and new ways by which folk can engage with each other. For instance, one of the assessment tasks is based on each person creating their own blogsite onto which they are expected to place a 1,000 word reflection on the intensive experience. It’s a pretty simple process. I give out a one page “how to get started blogging.” Each student sets up their blog and sends me their URL. (I arrange an optional tutorial on the second day for any folk who get lost.) I create a central “class blog” (a living the text blog) and each student’s blogsite is listed on the sidebar. (If you click on it, you’ll see previous “cohorts”, the classes of 2008, 2007, 2006. Having a central blog then allows a second piece of assessment. This involves students being expected to comment on each others blogs. So for example 10 comments of 100 words each becomes a 1,000 word addition to the original 1,000 word self-reflection. Educationally, this has a number of advantages. Students get to revise not only through their own 1000 word reflection, but they also hear the reflections of others in the class. It reminds them of the diversity of experience. It also allows them to take the class interaction into another, online, context. The intensive experience, which can become quite rich relationally, can continue. And they get to explore the world of social media, which IMHO is an essential part of being in ministry today. Anyhow, he’s just set sail on a fresh expression-ish evening service. It comes complete with a blog progress report of their first service, themed around Mother’s Day. And he’s keen to find travelling companions – so to all of my Adelaide readers and also to Anglican readers, head on over and let him know how exciting it is. It’s enormously satisfying for me to see students trying stuff like this. Go Chris. Think Christianity looks a webite worth watching: “A conversation and general thoughts on the Christian faith from people of all walks of life. The good, the bad and the ugly.” To join the conversation, you simply send an email saying why you do or don’t go to church. It becomes a blog post and the dialogue commences. My post on 7 things I learnt from Bono about worship leading, and a follow-up post in which I outlined what this might look like in a congregation of 180 rather than a concert of 40,000 attracted quite a bit of blog comment at the time. Interesting to note that Sarah Dylan Breuer offers similar reflection here. 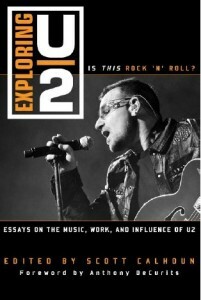 It is far longer than my post, but reflects in a similar way on U2 as participatory and experiential worship. It is fascinating to see someone shaped by a Baptistic ethos, like myself, and someone shaped by an Episcopalian (Anglican) ethos, like Sarah, express similar views on the art of liturgy. Malcolm Chamberlain (UK) has started a blog. We swapped mission notes and shared a coffee at a local beach back in 2004. Malcolm is a thinker – working toward a Masters on postmodernity and mission, and a doer – planted a faith community called Dream (who supplied an emerging church postcard 2005 here). Malcolm has even said some nice things about my out of bounds church? 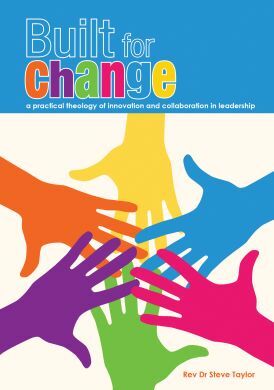 book here, in a blogpost reflecting on community and mission in contemporary culture. The Red Herring interviewed me last month. It proved to be a fascinating conversation that is now up as a podcast; in two parts, complete with mixed in background music. Part One: Steve outlines the links between the United Kingdom and New Zealand. 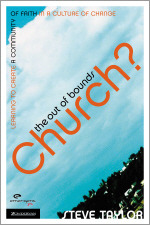 He points to the role played by alternative worship communities in initiating emerging churches. 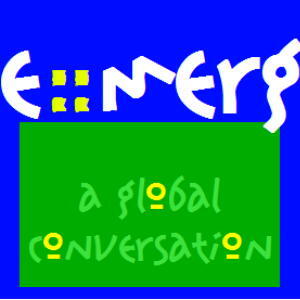 We talk about globalization theory, particularly the idea of “glocal,” suggested by Roland Robertson. Steve reveals the role of women played in emerging churches in New Zealand. Part Two: Steve’s one blog contains “postcards” from emerging churches around the world, including the Philippines and Japan. During Brian McLaren’s recent visit to Christchurch, Steve interviewed Grace McLaren about her take on the emerging church in New Zealand. Steve reviews three movies in relation to the emerging church, and summarizes his blog about 1 Peter as a feminist tractate. If you’re bored, and want to listen, go here. ground hog day in typepad blog world? Quite a number of typepad blogs I visited this morning have lost posts. It’s like Groundhog day, reading stuff you’ve read before and thinking, I’m sure this blog has posted more since then. Nada. Gone. Typepad life has all bounced back to around 12 December. It’s quite hilariously funny, although probably not for those hosted by typepad. More: Here’s the typepad media release; here’s the admission of a mistake and here’s the promise of regular updates here. This afternoon I’ve been working on a new block course Living the text in a postmodern context, which I am expecting to teach at Fuller in 2006. DRAFT: This course will explore the communication of the Biblical text in a contemporary world, with particular missiological reference to the use of the Bible in the emerging church in a postmodern context. 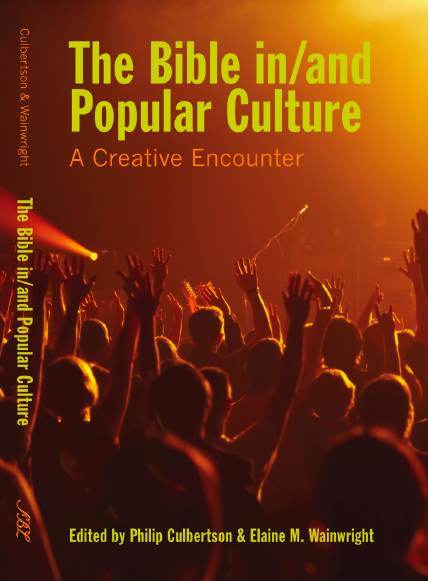 It will explore ways to maintain the integrity of the Biblical text, applying the best of academic insights around text, community and culture, to the task of communicating the Biblical text with reference to postmodernity. The course will combine both theory and practice, believing that learning often happens through seeing new models, while new practices necessitate a shift in the under girding values. As a result of the course, students will be better equipped to read and communicate the Biblical text in a postmodern context. Previously, I have often used journals as a form of assessment. It allows me to listen and interact with students, and allows a greater flexibility of expression than traditional essays. It has worked well. Today I wondered about inviting students to journal, not with pen and paper, but on-line. Students could very easily be given their own course blog-site, organized by lecturer beforehand. Students would be asked to journal regularly at their own course blog-site, with a suggested number of entries (and word length suggested). Students would be assessed with particular reference to the course learning outcomes. Students could be made aware of each others “course blogs” and be encouraged to read and interact with each others journals, using comment functions. I wonder if this would greatly increase the level of community learning and interaction. Any thoughts? 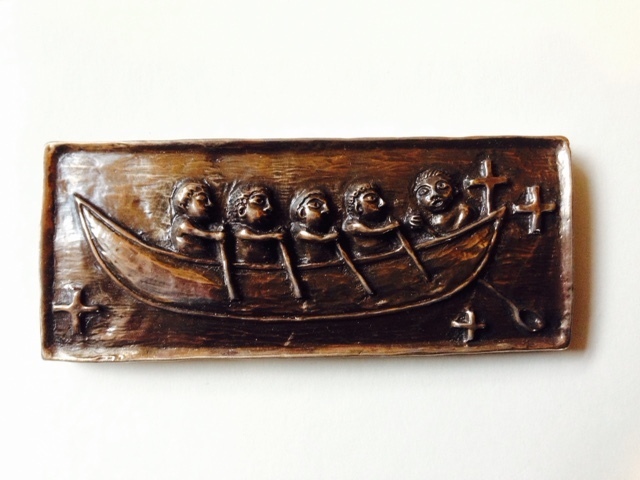 Last year I wrote a slightly tongue in cheek A-Z of the emerging church. It has leapt back into blog circulation thanks to tallskimpykiwi [sic] and I like how it is (sort of) being “open-sourced” ie added to here. One of my local cafes – jack flash - is offering $2 coffees in the morning. a whole rash of people at Opawa have started blogging. They are on my side-bar blog roll but for the record; feel free to meet Andrew; Paul; Amy; Jo; Ann. and two Kiwi exports – Mark Pierson and Duncan MacLeod.